Saving money for college is about more than just setting aside a little money every month. Investing in a college education takes planning, and parents need to explore all available avenues to get the most of their money. Both high risk and low risk investments should be a part of your college savings plan. With the right amount of planning, and an early start, you can maximize the potential of your college savings fund. When your child is born, or just a few years old, is the time to begin thinking about an education fund. 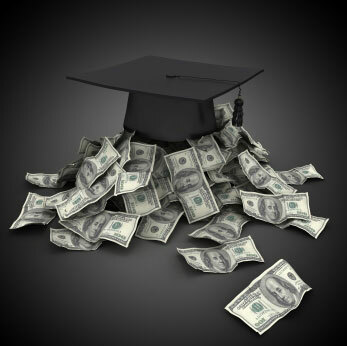 The earlier parents address the issue, the better prepared they will be to provide their child with a substantial college fund when high school graduation time comes round. Beginning when your child is young allows you to consider the value of high risk investments. Starting early gives you more time to recover from any mistakes or possible losses that may occur. If all goes well, you will end up saving much more money than simply depositing a monthly stipend in a savings account. What Are High Risk Investments? High risk investments are exactly what they appear to be, financial investments that put your own money at risk. They also present a better financial yield for your initial investment. The most common forms of high risk, high yield investments include stocks and mutual funds. While the risk is very real, and should not be taken lightly, stocks and mutual funds have the potential to bring you a great return on your initial investment. When dealing in high risk investments, parents will want to consult a broker or other financial adviser in order to minimize the attendant risk and to maximize their earning potential. As your child grows up, and gets closer to college age, you will want to begin moving any of your high-risk investments into low-risk ventures. High- risk, high-yield investments can often be difficult to cash-out without incurring a number of penalties, while low risk investments are more fluid and easier to access when the time comes to pay for college. By the time your child begins applying to colleges, you will want your money to be in low risk investments for ease of access so you will be ready to start paying those tuition costs. What Are Low Risk Investments? Low risk investments typically do not put the principal of your investment at peril. This protects your initial investment from loss if the investments do not yield the desired growth. High risk investments, while providing higher returns on the initial investment, can result in partial or total loss of your principal. Common forms of low risk investments include prepaid tuition plans, bonds and FDIC insured savings accounts. When And Where Should I Invest? The first rule of thumb when saving for your child's college education is to start early. Whether you choose high risk or low risk investments, the time to begin is when your child is still a baby. Remember to move any high risk investments into low risk ventures as your child grows, and the time for college draws closer. By the time your child enters middle school, no more than 25% of your investments should be in high risk ventures. Knowing where to invest your money can be difficult, and it is often necessary to rely on a broker or financial adviser to guide you through you investments. They can advise you on where to invest your money, and will keep you informed on the progress of your investments and the status of your portfolio. As your investment returns grow, remember that your savings must ultimate account for inflation and the constantly rising costs of college tuition. A financial adviser can help you plan accordingly, and can put you on the path to investment success. Investing is not easy, but with planning, determination and the right financial advice it can help you provide for your child's college education. There is nothing more satisfying for parents, than to be able to start their children off right when the time comes to enter college and set forth on a career.